The nutritional demands of peak lactation place additional stress on the reproductive system of a dairy cow, delaying her normal return to estrus. This can reduce conception rates and increase days open. If the cow’s nutrition is not optimized, she may not cycle regularly or may develop sub-clinical challenges preventing her from becoming pregnant. MINTREX® trace minerals optimize reproductive parameters in dairy cattle compared to inorganic trace minerals (Bach et al., 2015; Zanton et al., 2011). A multi-herd commercial trial in Spain showed that cows supplemented with MINTREX® trace minerals had a 9 percent improvement in first service conception rates. Industry standards estimate the value of a pregnancy to be $450 on a large commercial dairy. In a 1000 cow herd, a 9 percent increase in conception would result in 90 more pregnancies. The increase in pregnancies would generate $40.50 per cow resulting in a $30 per cow per year return on investment by using MINTREX® trace minerals (Bach et al., 2015; Fricke et al., 2000). The C.O.W.S.® program has been successful in working with dairy producers and their teams to unlock bottlenecks in their operations. The program is provided by Novus® International and was developed in collaboration with Dan Weary and Marina Von Keyserlingk from the University of British Columbia. 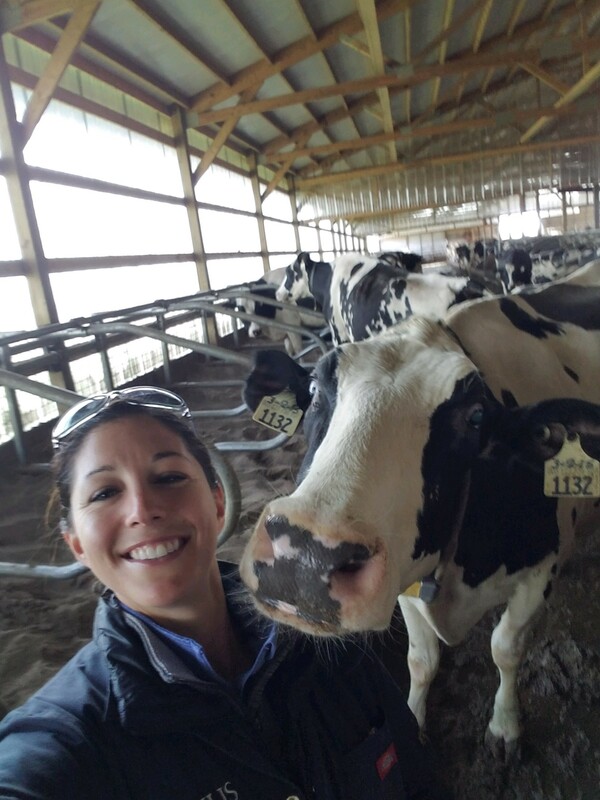 It started in 2010 with the assistance of two graduate students from the University of British Columbia visiting and collecting data from mature, high-production Holstein pens from 200 dairy farms in the U.S. This allowed for the creation of three benchmarks across the U.S., including Northeast freestall, California freestall and Texas/New Mexico open lot. In 2011, the program was commercially available to producers across the U.S. and Canada. To date, over 1,200 assessments have been completed, along with the creation of four additional freestall regions and plans to create an additional open lot region, and a Jersey breed benchmark to allow producers to compare their herds against their peers’ herds. The beginning of October brought the World Dairy Expo in Madison, Wisconsin, for all those involved in the dairy industry. The Novus® North America technical and sales teams were excited to be there along with many of our customers from around the world. We enjoyed catching up with all of you and look forward to seeing you next year at Booth #1403-1404!